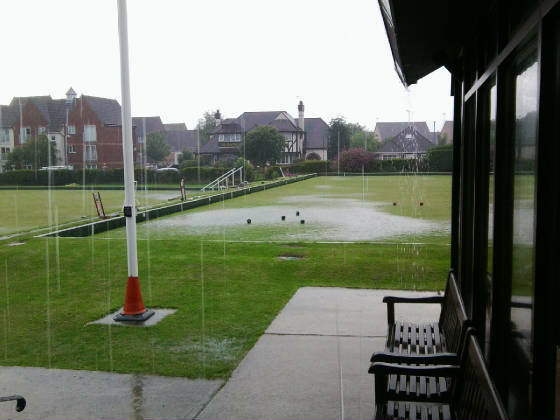 Owing to the vagaries of the British climate the Outdoor Bowling season is normally 20-22 weeks long. In order to keep our membership stimulated and occupied during the dark and dreary months we run a programme of winter activities. These activities are open to all full and social members of the club and normally run from close of play in the Autumn until opening time in the Spring. bowls to draw round the obstruction. Clacton Carpet Bowls Section has two carpets with bowls for use by the Members. We also enter a team in the Clacton and District Carpet Bowls League and have been very successful in recent years. The Carpet Bowls Section meets every Sunday morning for roll-ups and practice. League games are played on a Thursday evening on a Home and Away basis. We have two tables for friendly games of table tennis. We have two boards for light hearted team games where everyone joins in. Canasta Club meets on Thursday afternoons between 1pm and 4pm. Crib or Cribbage Club has been running for many years and is very popular. As many as forty members have attended individual Crib sessions in recent years.